The prevalence of obesity and related comorbidities is increasing worldwide. Furthermore, clinically meaningful body weight losses has proven difficult to achieve and especially to maintain through sustained lifestyle change in the form of diet and exercise. Pharmacotherapy against obesity is a non-invasive treatment as an adjunct to lifestyle changes, but approved anti-obesity drugs are currently few. This article reviews the major anti-obesity drugs and the benefit-risk profiles of the long-acting glucagon-like peptide-1 receptor agonists (GLP-1 RAs) liraglutide and semaglutide (a modified version of liraglutide with longer half-life and tripled receptor affinity). Generally, GLP-1 RAs are well tolerated and induce significant weight loss and lowering of comorbidities. Studies with liraglutide 3.0 mg/day have shown an average placebo-subtracted weight loss of 5.5 kg (range 4.6–5.9) in 1- to 3-year duration trials. One trial using semaglutide 0.4 mg once daily reported an average weight loss of 11.6% (~ 13.1 kg) after 1 year. Furthermore, semaglutide induced a ~ 6 percentage point larger placebo-subtracted body weight loss in a head-to-head comparison with liraglutide (11.6 vs. 5.5% weight loss, respectively). The safety profiles for both drugs were similar, with transient gastrointestinal disorders being the most commonly reported adverse events. The longest running trial and the most recent trials have not raised any new safety concerns. Long-term trials and post-marketing surveillance is warranted to fully assess both long-term efficacy and safety. Future combinational therapies of mimicked gut hormones involved in regulation of energy homeostasis and/or additional lifestyle change in the form of exercise might further improve efficacy. Conceptualisation and methodology: SST. Writing first draft: RMC. Critically editing, re-writing, analysing and reviewing the manuscript: SST, RMC, and CRJ. This work was supported by the Tripartite Immunometabolism Consortium [TrIC], Novo Nordisk Foundation; grant number NNF15CC0018486. Rasmus Michael Christensen was supported by the Novo Nordisk Foundation, grant number NNF15CC0018486. Christian Rimer Juhl has no conflicts of interest that are directly relevant to the content of this article. Signe Sørensen Torekov has received research grants from the Novo Nordisk Foundation and Novo Nordisk A/S. World Health Organization. Obesity and overweight. 2018. http://www.who.int/en/news-room/fact-sheets/detail/obesity-and-overweight. Accessed 28 Mar 2019. World Health Organization. Prevalence of obesity among adults, BMI ≥ 30, age-standardized Estimates by WHO region. 2017. http://apps.who.int/gho/data/view.main.REGION2480A?lang=en. Accessed 28 Mar 2019. Jensen MD, Ryan DH, Apovian CM, Ard JD, Comuzzie AG, Donato KA et al. 2013 AHA/ACC/TOS guideline for the management of overweight and obesity in adults: a report of the American College of Cardiology/American Heart Association Task Force on Practice Guidelines and The Obesity Society. J Am Coll Cardiol. 2014;63(25 Pt B):2985–3023. https://doi.org/10.1016/j.jacc.2013.11.004. Onakpoya IJ, Heneghan CJ, Aronson JK. Post-marketing withdrawal of anti-obesity medicinal products because of adverse drug reactions: a systematic review. BMC Med. 2016;14(1):191. https://doi.org/10.1186/s12916-016-0735-y. US Food and Drug Administration. Full prescribing information Suprenza (phentermine hydrochloride) orally disintegrating tablet. https://www.accessdata.fda.gov/drugsatfda_docs/label/2013/202088s005lbl.pdf. Accesssed 28 Mar 2019. European Medicines Agency. The European Agency for the Evaluation of Medicinal Products. 1999. https://www.ema.europa.eu/documents/press-release/extraordinary-meeting-finalise-review-anorectic-agents_en.pdf. Accessed 28 Mar 2019. European Medicines Agency. Acomplia. https://www.ema.europa.eu/en/medicines/human/EPAR/acomplia. Accessed 28 Mar 2019. European Medicines Agency. Zimulti. https://www.ema.europa.eu/medicines/human/EPAR/Zimulti. Accessed 28 Mar 2019. European Medicines Agency. European Medicines Agency recommends suspension of marketing authorisation for sibutramine. 2010. https://www.ema.europa.eu/news/european-medicines-agency-recommends-suspension-marketing-authorisation-sibutramine?fbclid=IwAR0j-JZEdrJ3qbW2iDOGiVJoiIPZVKuJSZkV5j9a438Lt9h6O6lMP0c34qA. Accessed 28 Mar 2019. US Food and Drug Administration. FDA Drug Safety Communication: FDA Recommends Against the Continued Use of Meridia (sibutramine). 2010. https://www.fda.gov/Drugs/DrugSafety/ucm228746.htm. Accessed 28 Mar 2019. US Food and Drug Administration. Center for Drug Evaluation and Research 208524Orig1s000. https://www.accessdata.fda.gov/drugsatfda_docs/nda/2016/208524Orig1s000Approv.pdf. Accessed 28 Mar 2019. European Medicines Agency. Withdrawal assessment report for Belviq. 2013. https://www.ema.europa.eu/documents/withdrawal-report/withdrawal-assessment-report-belviq_en.pdf. Accessed 28 Mar 2019. European Medicines Agency. Refusal of the marketing authorisation for Qsiva (phentermine / topiramate). 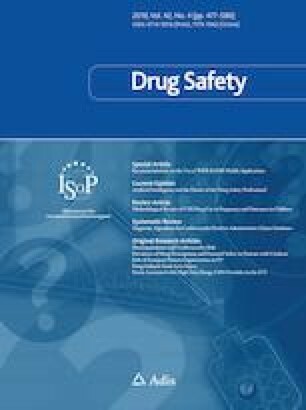 2013. https://www.ema.europa.eu/documents/smop-initial/questions-answers-refusal-marketing-authorisation-qsiva-phentermine/topiramate_en.pdf. Accessed 28 Mar 2019. Knudsen LB, Secher A, Hecksher-Sørensen J, Pyke C. Long-acting glucagon-like peptide-1 receptor agonists have direct access to and effects on pro-opiomelanocortin/cocaine- and amphetamine-stimulated transcript neurons in the mouse hypothalamus. Journal of diabetes investigation. 2016;7 Suppl 1(Suppl Suppl 1):56–63. https://doi.org/10.1111/jdi.12463. Iepsen EW, Lundgren J, Dirksen C, Jensen JE, Pedersen O, Hansen T et al. Treatment with a GLP-1 receptor agonist diminishes the decrease in free plasma leptin during maintenance of weight loss. Int J Obes (2005). 2015;39(5):834–41. https://doi.org/10.1038/ijo.2014.177. Bradley DP, Kulstad R, Racine N, Shenker Y, Meredith M, Schoeller DA. Alterations in energy balance following exenatide administration. Applied physiology, nutrition, and metabolism = Physiologie appliquee, nutrition et metabolisme. 2012;37(5):893–9. https://doi.org/10.1139/h2012-068. van Can J, Sloth B, Jensen CB, Flint A, Blaak EE, Saris WH. Effects of the once-daily GLP-1 analog liraglutide on gastric emptying, glycemic parameters, appetite and energy metabolism in obese, non-diabetic adults. Int J Obes (2005). 2014;38(6):784–93. https://doi.org/10.1038/ijo.2013.162. European Medicines Agency. Ozempic. https://www.ema.europa.eu/en/medicines/human/EPAR/ozempic. Accessed 28 Mar 2019. US Food and Drug Administration. Full prescribing information saxenda (liraglutide [rDNA origin] injection), solution for subcutaneous use. https://www.accessdata.fda.gov/drugsatfda_docs/label/2014/206321Orig1s000lbl.pdf. Accessed 28 Mar 2019. European Medicines Agency. Assessment report for GLP-1 based therapies. 2013. https://www.ema.europa.eu/documents/report/assessment-report-article-53-procedure-glp-1-based-therapies_en.pdf. Accessed 28 Mar 2019. Astrup A, Carraro R, Finer N, Harper A, Kunesova M, Lean ME et al. Safety, tolerability and sustained weight loss over 2 years with the once-daily human GLP-1 analog, liraglutide. Int J Obes (2005). 2012;36(6):843–54. https://doi.org/10.1038/ijo.2011.158. Wadden TA, Hollander P, Klein S, Niswender K, Woo V, Hale PM et al. Weight maintenance and additional weight loss with liraglutide after low-calorie-diet-induced weight loss: the SCALE Maintenance randomized study. Int J Obes (2005). 2013;37(11):1443–51. https://doi.org/10.1038/ijo.2013.120. Pi-Sunyer X, Astrup A, Fujioka K, Greenway F, Halpern A, Krempf M et al. A randomized, controlled trial of 3.0 mg of liraglutide in weight management. N Engl J Med. 2015;373(1):11–22. https://doi.org/10.1056/nejmoa1411892. Blackman A, Foster GD, Zammit G, Rosenberg R, Aronne L, Wadden T et al. Effect of liraglutide 3.0 mg in individuals with obesity and moderate or severe obstructive sleep apnea: the SCALE Sleep Apnea randomized clinical trial. Int J Obes (2005). 2016;40(8):1310–9. https://doi.org/10.1038/ijo.2016.52. European Medicines Agency. Summary of produce characteristics. https://www.ema.europa.eu/documents/product-information/saxenda-epar-product-information_en.pdf. Accessed 28 Mar 2019. Marso SP, Daniels GH, Brown-Frandsen K, Kristensen P, Mann JFE, Nauck MA et al. Liraglutide and cardiovascular outcomes in type 2 diabetes. N Engl J Med. 2016;375(4):311–22. https://doi.org/10.1056/nejmoa1603827. Rompianesi G, Hann A, Komolafe O, Pereira SP, Davidson BR, Gurusamy KS. Serum amylase and lipase and urinary trypsinogen and amylase for diagnosis of acute pancreatitis. Cochrane Database Syst Rev. 2017. https://doi.org/10.1002/14651858.cd012010.pub2. Egan AG, Blind E, Dunder K, de Graeff PA, Hummer BT, Bourcier T et al. Pancreatic safety of incretin-based drugs—FDA and EMA assessment. N Engl J Med. 2014;370(9):794–7. https://doi.org/10.1056/nejmp1314078. Novo Nordisk. CHMP endorses EU label update of Saxenda® based on the LEADER trial. 2017. https://www.novonordisk.com/bin/getPDF.2115243.pdf. Accessed 28 Mar 2019. US Food and Drug Administration. Center for drug evaluation and research 209637Orig1s000. https://www.accessdata.fda.gov/drugsatfda_docs/nda/2017/209637Orig1s000lbl.pdf. Accessed 28 Mar 2019. Novo Nordisk. Strengthen leadership in obesity. 2017. https://www.novonordisk.com/content/dam/Denmark/HQ/investors/irmaterial/cmd/2017/05_Strengthen%20leadership%20in%20obesity.pdf. Accessed 28 Mar 2019. ClinicalTrials.gov. Semaglutide Effects on Heart Disease and Stroke in Patients With Overweight or Obesity (SELECT). NCT03574597. 2018.https://clinicaltrials.gov/ct2/show/NCT03574597. Accessed 28 Mar 2019. Finkelstein EA, Verghese NR. Incremental cost-effectiveness of evidence-based non-surgical weight loss strategies. Clin Obes. 2019;0(0):e12294. https://doi.org/10.1111/cob.12294. ClinicalTrials.gov. Saxenda in obesity services (STRIVE Study) (STRIVE). NCT03036800. 2017. https://clinicaltrials.gov/ct2/show/NCT03036800. Accessed 28 Mar 2019. Alexiadou K, Anyiam O, Tan T. Cracking the combination: gut hormones for the treatment of obesity and diabetes. J Neuroendocrinol. 2018:e12664. https://doi.org/10.1111/jne.12664.